Nike's marketing pitch: A fast, smooth ride. Upper: Engineered mesh, inner midfoot panel. Midsole: Injection molded EVA foam, soft Lunarlon core. 8 mm heel offset. 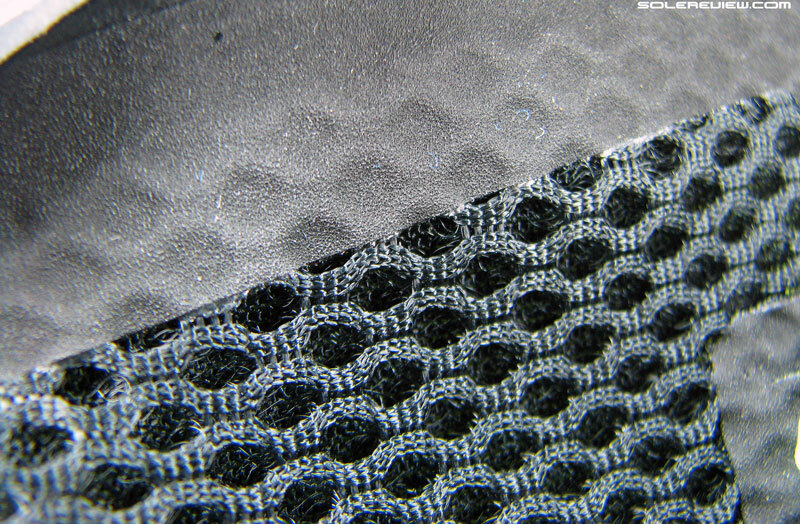 Outsole: Slabs of hard Carbon rubber placed in high-wear areas. As far as hyper-light racers go, the Nike Lunaracer holds its own. The LR4's cushioned ride quality belies its unbelievable 6-ounce weight, making it unique in a world populated with firm race-day shoes. The Lunaracer will celebrate its 9th birthday sometime this year, and that’s remarkable for two reasons. The Lunaracer is an outlier in its category; its 6-ounce weight far surpasses the industry benchmark, and yet it packs in all the cushioning of the average 11 Oz. trainer. To give you an idea of how light the Lunaracer is, it’s nearly half the weight of the Nike Pegasus 33. The Saucony Ride is almost 10 ounces. And mind you, both the Pegasus and the Ride are considered reasonably lightweight. It’s also worth highlighting that the Lunaracer’s midsole and outsole design have stayed the same since the day the shoe was born. There’s the now-familiar EVA (Ethylene Vinyl Acetate) foam midsole on the outside and a softer Lunarlon foam core within. Until last year, the Lunaracer 3 even had the legacy Nike+ cavity inside its left midsole. The Lunaracer 4 understandably leaves the Nike+ part behind. The unchanged midsole is a testament to the fact that runners love the lightweight yet cushioned quality of the LR4, and it has been wise of Nike not to fix something which wasn’t broken. 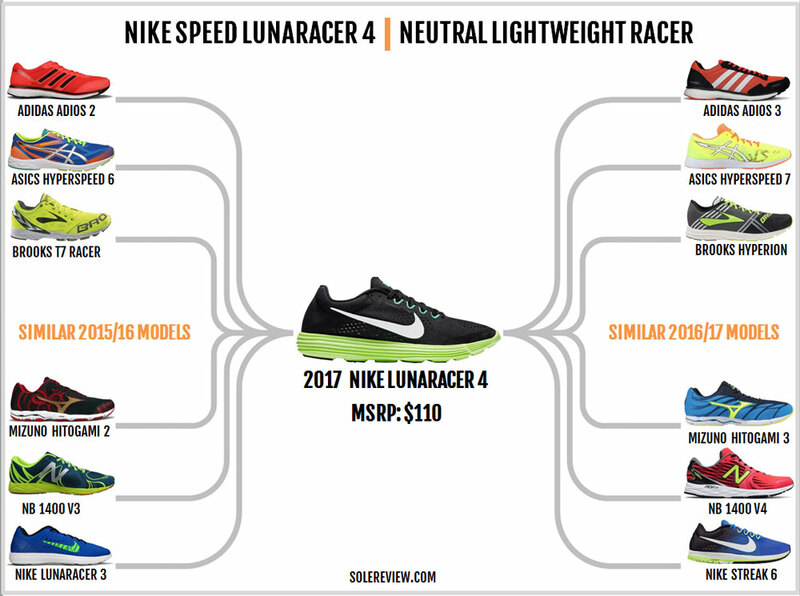 It also helps that being a race-shoe, the Lunaracer is not burdened by the frequent design update cycle which mainstream shoes (Pegasus, Lunarglide, etc.) have to go through. Like all past Lunaracer versions, the new LR4 – now rechristened as the ‘Speed Lunaracer 4’ – comes with a refreshed upper over the same sole design. While the last is unchanged, sweeping updates are made to the upper design, making the LR4 a different fitting shoe than the LR3. Are the LR4 updates good or bad? It depends on your personal taste, and our job is to lay it all out for you to decide. There are plenty of alternatives when it comes to race-day shoes. The Lunaracer 4 loosely belongs to a category which groups together minimally constructed, yet cushioned racing shoes. Or one level above the pure racing-flat silhouette, if you will. Given that road racing shoes and track/XC spikes have longer update cycles (it’s three years for the Lunaracer), one will encounter familiar names while shopping. adidas’s flagship road racer (and the favorite of its sponsored athletes) is the adios 3 Boost. The Japanese sell the Asics Hyperspeed 7 and the Mizuno Hitogami 3, while the Brooks Hyperion and the New Balance 1400 V4 are relatively new faces in the crowd. 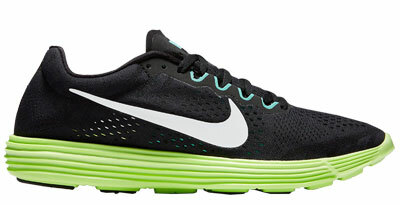 Nike also retails the Streak 6, which is a firmer and more responsive shoe than the Lunaracer 4. When one factors in the amount of cushioning the Lunaracer has, the only true challenger is the adidas adizero adios 3 Boost. At 8 ounces, it is a heavier shoe than the LR4 but possesses a padded and springy ride. A key differentiating aspect of the Lunaracer vs. other shoes is its thick midsole stack height. Whereas all shoes in this group have low-profile midsoles, the LR4’s midsole has a lot more foam volume. The Nike Lunartempo 2 is another Nike model which is a close match with the LR4 in look and feel. However, Nike appears to be consolidating its product line, and the word on the street is that the Lunartempo series is going to be canned. The Lunaracer 4 has a brand new upper, and we really mean it. Nothing of the LR3 has been carried forward to the LR4. The mesh used is new, the Flywire cords have been replaced with an inner strapping system, and the heel collar design has been completely overhauled. If you’ve read our Streak 6 critique, then you’ll realize that the LR4’s upper bears an uncanny resemblance to it. In fact, both the uppers area nearly identical from a material and construction viewpoint. Let’s begin with the upper mesh. Though the LR3 and LR4 both use an engineered mesh, the new fabric used on the LR4 is a thinner material. In the Lunaracer 4’s case, the weight savings are marginal. The new models weighs 0.2 ounces or 5 grams less than the LR3. But the LR4 is undoubtedly more airy than the 3, as its open-pored mesh structure makes it easier for air to circulate. Flywire disappears on the LR4. The outer upper is cleared of the vertical lacing cords, leaving the midfoot real estate to the welded Swoosh logos. 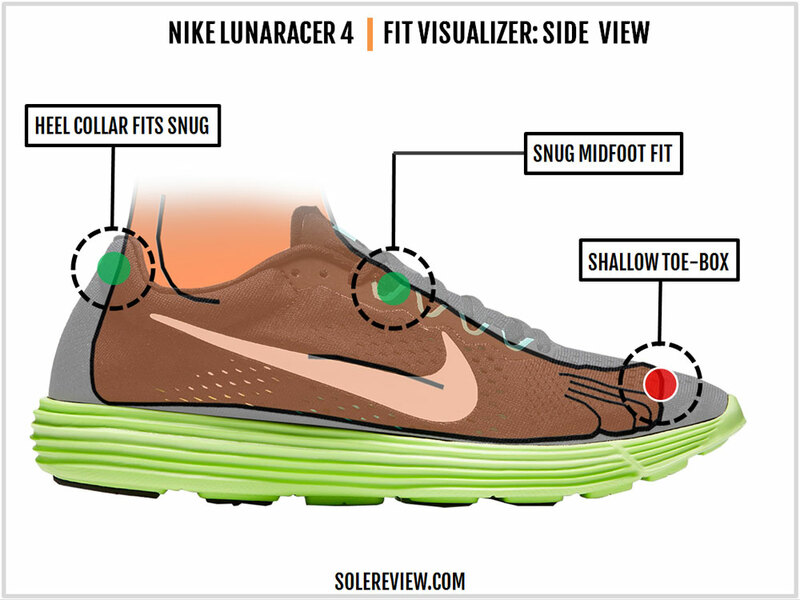 With this change, reflectivity goes off the Lunaracer 4’s menu. The LR3 came with shiny tinsels embedded into the Flywire cords, and the heel had a reflective strip too. The LR4 is completely devoid of low light visibility elements. Replacing the Flywire is an internal band system used on the Streak 6. 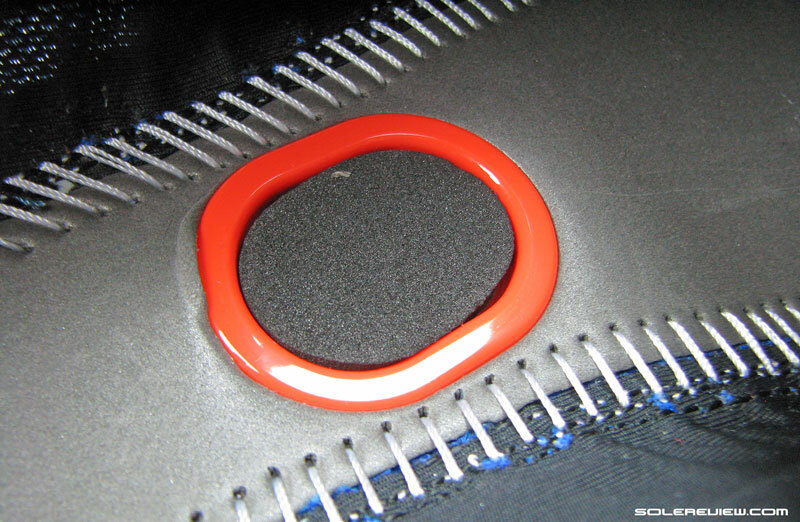 The outer mesh is connected to an inner panel made of soft synthetic suede, and forms multiple lacing loops at the top. The premise here is that pulling on the laces will cinch both the inner and outer upper, leading to a conforming midfoot fit. These suede panels have lots of windows cut into them for ventilation, so breathability isn’t a problem. The tongue design is similar to the LR3 design, except that it’s made of a thinner engineered mesh instead of the LR3’s Air mesh fabric. The tongue flap has an unfinished raw edge made of soft synthetic suede, a part which is identical to the LR3. The rest of the edges are covered with a smooth synthetic on top and beneath, which helps the tongue sit flush over the foot. This also prevents curling of the tongue experienced on some other models. 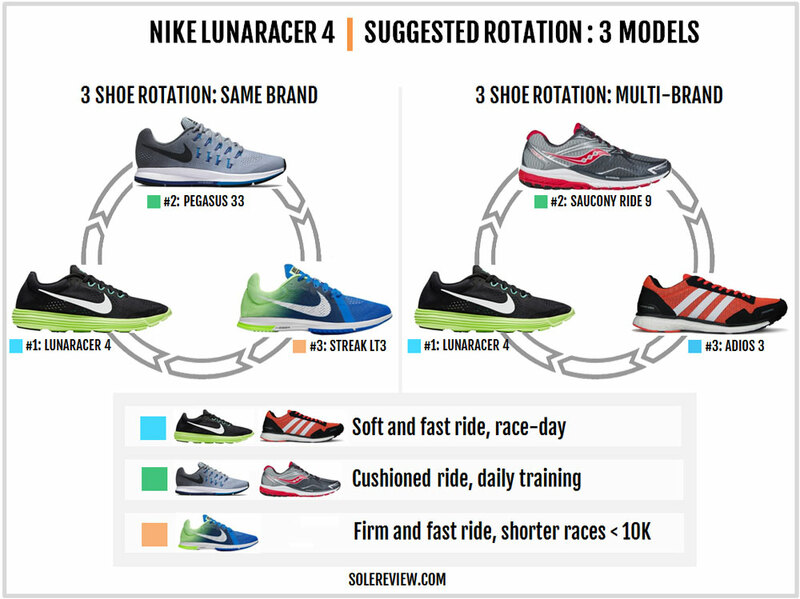 The Lunaracer 4 gets an additional eyelet over the LR3 meant for heel-lock lacing. Coming to the rear, the LR4’s heel collar gets a major update. The LR3’s heel was sparsely padded behind a soft mesh; the LR4 changes the lining material as well as the construction. There are other changes over the heel. Whereas the LR3’s heel padding foam was spread evenly, the LR4’s foam is focused in the upper area. 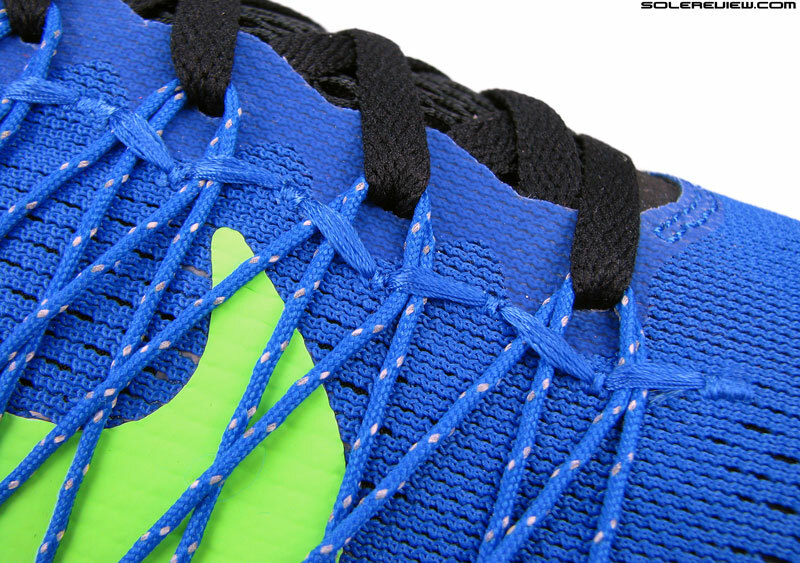 Nike has also introduced a stitching near the top which restricts the foam to a plump, band-like area. Overall, the collar edges are firmer than the Lunaracer 3. As a result of the heel stitching and top-heavy foam filling, the Achilles dip slopes inwards more than the LR3. Also worth calling out is the modified Achilles tab shape. If you viewed the LR3 from the back, you’d have noticed a slight dip at the top. 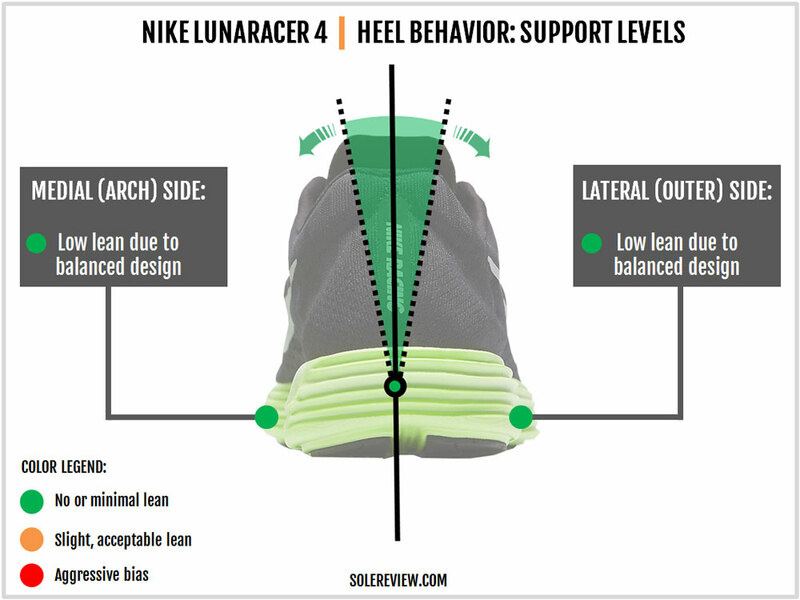 The Lunaracer 4 flattens that part over, and its Achilles point is located higher than the LR3. Needless to say, there are a lot of new design changes on the Lunaracer 4, all of which have a functional influence on the upper fit and feel. You must have also realized that the new Lunaracer 4 upper is a direct transplant from the Zoom Streak 6. The heel design and the midfoot straps are borrowed from the Streak 6, and so is the new porous mesh. The sloped toe-box profile stays the same, though the modified heel design affects the toe-box fit. Long-timers would not need a primer on the Lunaracer 4’s midsole and outsole, which has remained the same for nearly a decade. Except for the removal of the Nike+ cavity, there is nothing else to report. Regardless, we’ll quickly bring you up to speed in case you’re not acquainted with the Lunaracer design. The midsole design is a simple affair. The outer part is made of firm EVA foam, and the inside is filled with the soft Lunarlon foam. Over it is another sheet of EVA foam, and finally the removable insole. 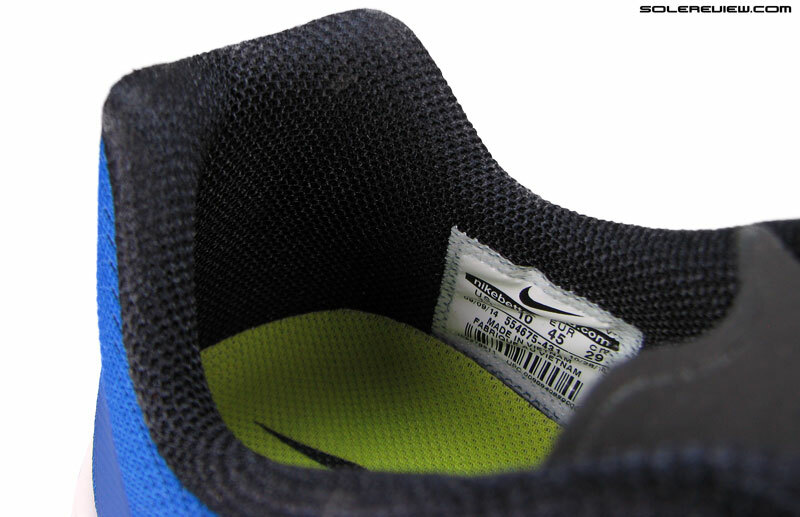 Unlike the Streak 6, the LR4’s insole is not glued to the lasting. It is removable in case one needs to wash it or replace it with an aftermarket sockliner. The outsole has a surprisingly good coverage of rubber which is remarkable for a shoe which weighs only 6 ounces. 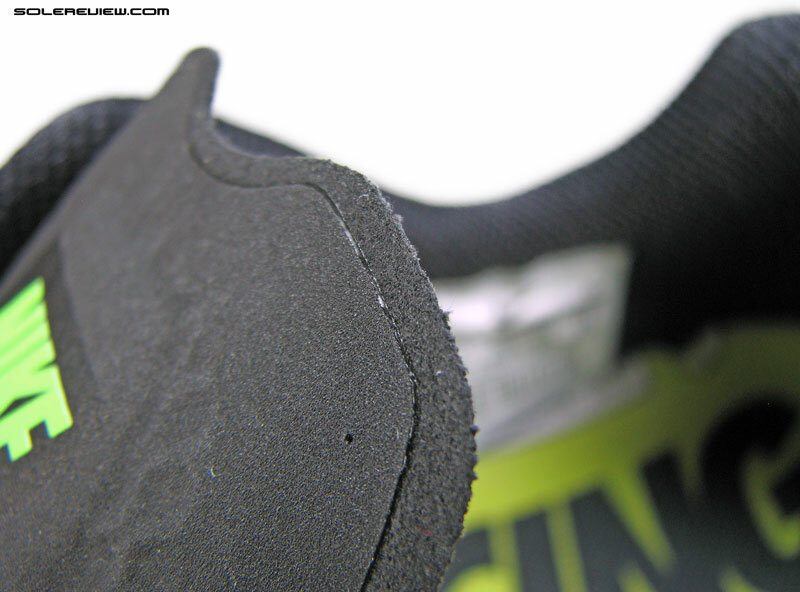 There are pieces of rubber mounted on the foam midsole at strategic, high-wear areas. Compared to the rest of the pack (counting the Streak 6 too), the Lunaracer’s 8 mm heel drop midsole has a generous volume of foam. Both the forefoot and heel have stack heights comparable to daily trainers, and this is what gives the Lunaracer its signature ride quality. If you’re looking for a lot of durability, then the Lunaracer 4 won’t give you that. This is a shoe purposely designed with the occasional race-day or fast workouts in mind. So if you begin burdening the Lunaracer 4 with the chores of daily training, then expect a median life of 250 miles. The Lunaracer 4’s lifespan will be slightly lower than the LR3. That’s entirely on account of the much thinner mesh. 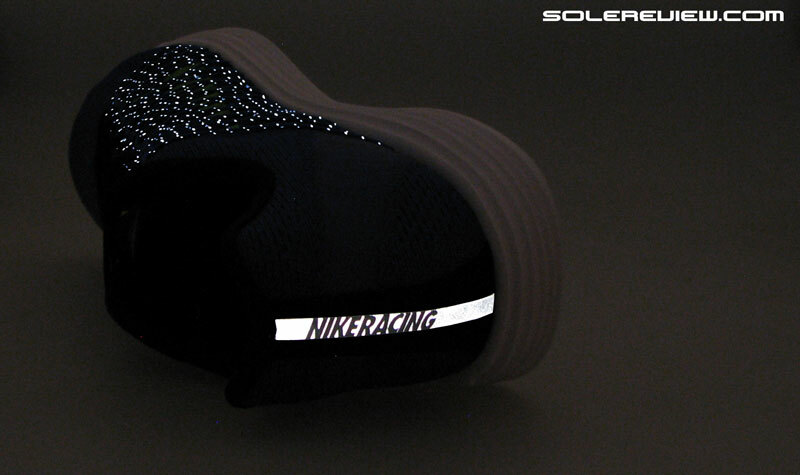 The Lunaracer 3 had a double layered design, consisting of a thicker outer mesh and an internal heel lining. 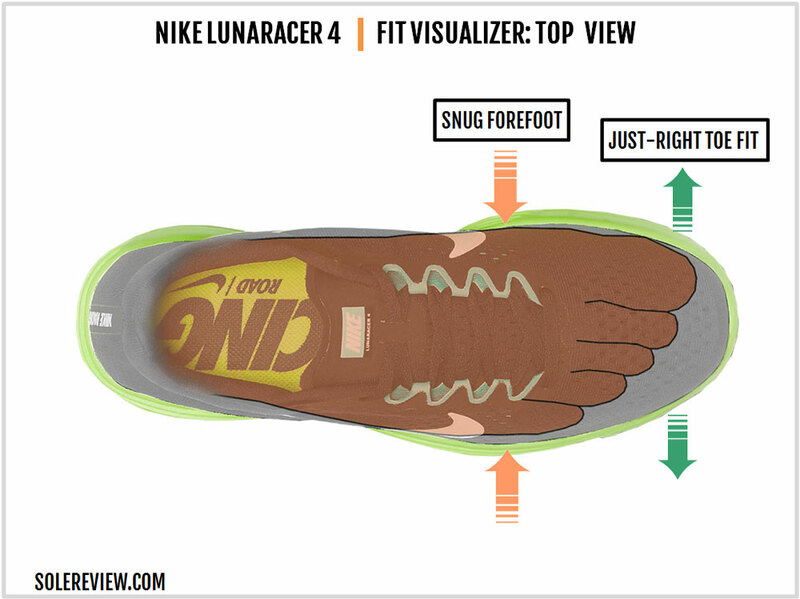 In contrast, the Lunaracer 4 has only a single layer midfoot. If you count the inner panel, then it’s double layer. But two meshes bonded tightly together is much stronger than two independent mesh layers. This makes the LR4’s mesh more prone to wear and tear than the LR3. 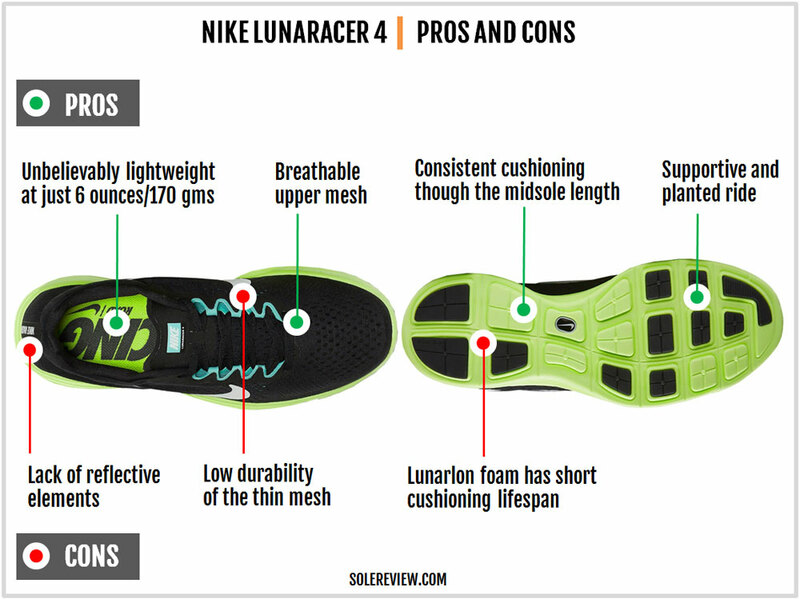 Lunarlon has never been known to be a durable cushioning compound. After a few hundred miles, the soft core will begin losing its cushioning properties. The Lunaracer 4’s all-round comfort and versatility will tempt you to use it as a daily trainer, but just be aware of the durability trade-off. The Lunaracer 4 has a sloped toe-box profile like the 3, so nothing new there. The entire toe-box sits shallower over the foot, and more so than the LR3. This is because of the sloped heel counter, an update which affects the sizing too. Removing the Flywire makes the midfoot fit differently than the LR3. On the previous Lunaracer, all the cinching was done outside by the Flywire loops. On the LR4, the tightening element moves closer to the foot. Solereview has been a vocal critic of the cord based Flywire because it always didn’t work perfectly. But the Lunaracer 3 was an exception. The tightly packed rows of vertical Flywire applied pressure in an even way, and besides, there was the dual-layered mesh to insulate the foot. There are no complaints with the LR4’s internal strapping system. And yet, on a comparative scale it doesn’t feel as smooth as the LR3, nor does the midfoot fit feel uniformly spread. There’s a focused sensation of snugness around the midfoot which also feels closer to the foot. Still, the panels are soft and pose no irritation. The broad speed loops also exert pressure around the top, an area where the LR4 feels tighter than the LR3. 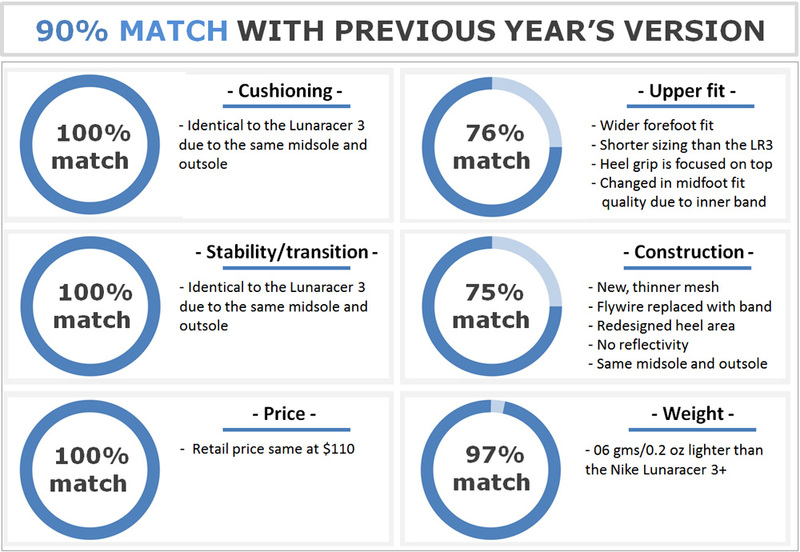 Lunarlon loyalists will have a split opinion on the redesigned heel fit. Since the new Lunaracer changes the lining and the way in which the foam is distributed, the LR4’s heel has an updated quality of fit. The upper part of the collar wraps around the ankles with more snugness than the LR3 did. The Achilles area also slopes inwards and works together with the change in stitching and padding to push the foot forward. 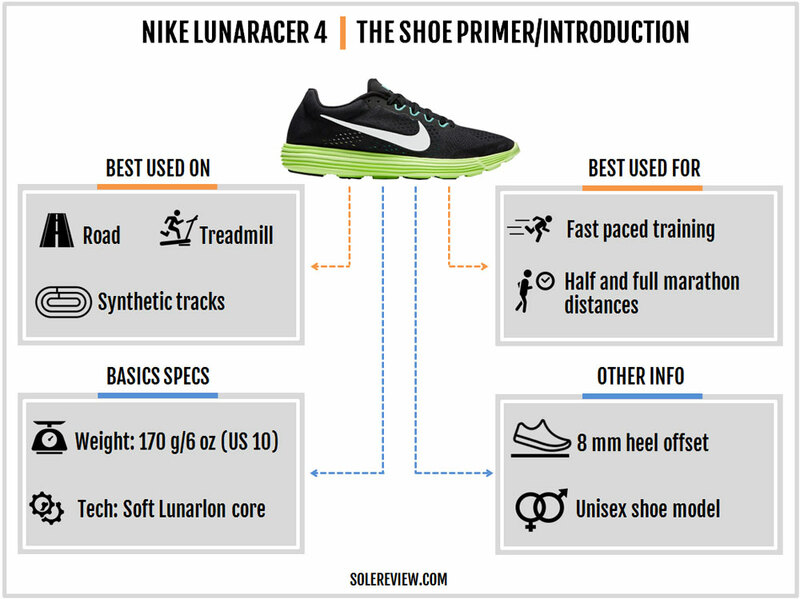 Runners who are new to the Lunaracer will not feel anything amiss. Even with the changes, the heel and midfoot grips well, although the toe area is a bit shallow. 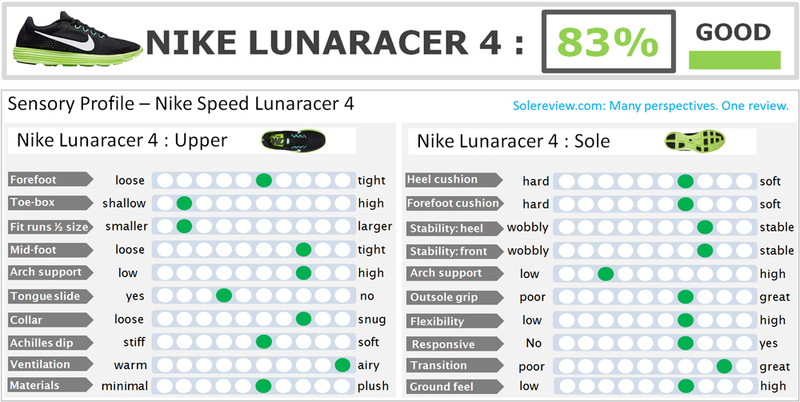 Only those who have been wearing the Lunaracer 3 will have mixed feelings about the fit update. Relatively speaking, the LR3 did a better job of ‘disappearing’ over your foot during runs. 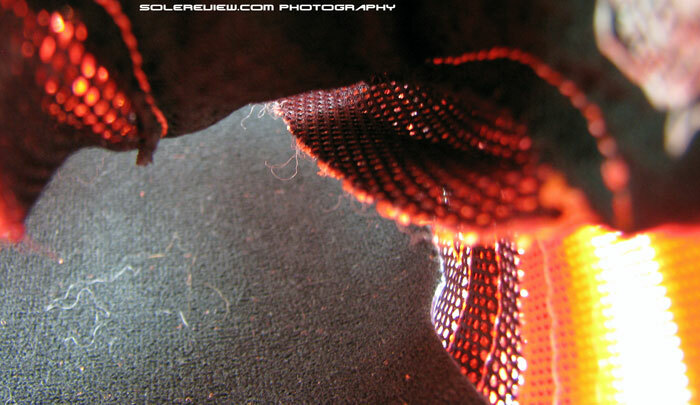 The Flywire induced midfoot wrap was kept at bay by a thick mesh, and insides were a lot smoother. 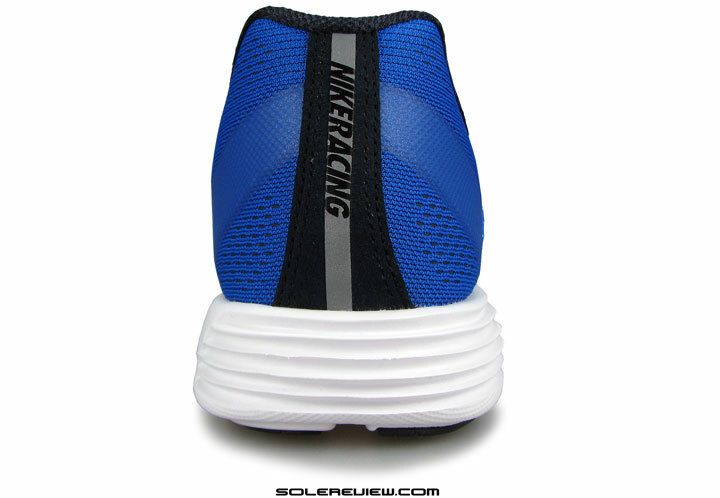 The Lunaracer 3’s heel lining had a smoother feel, owing to a wider spread of foam and the kind of mesh used. Though the previous generation Lunaracer had a tight fit, we did not recommend a half size up. The LR4 however, is another story. Because of the new heel design, the Lunaracer shrinks half a size in length. The general recommendation here is to buy the LR4 in a half size larger than your regular shoe; but as all running shoes go, there is simply no substitute for trying them on first. The forefoot is wider on both sides of the LR3. The thinner mesh upper makes for more spacious accommodations, and the absence of Flywire in the front eases the fit pressure. One of the reasons why the Lunaracer is such as popular model is that it packs in an amazing amount of soft cushioning for its weight. 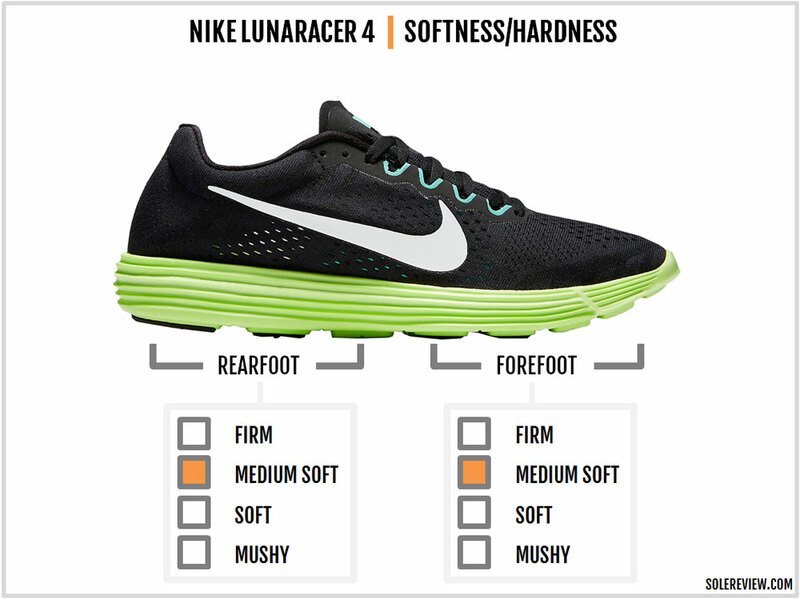 If somebody put together a ‘cushioning-to-weight’ ratio chart, then the Lunaracer is probably going to come up tops. 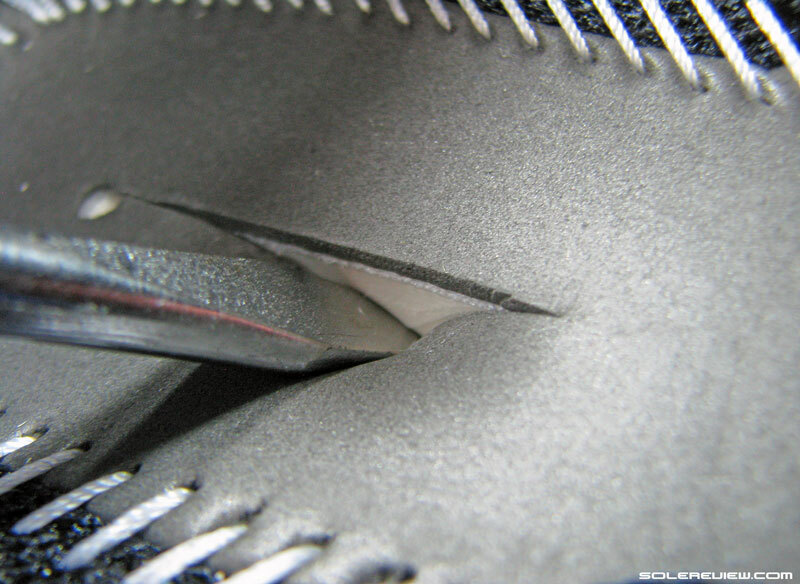 All the softness comes from the combined stack of the EVA insole/lasting and the Lunarlon core seated inside the midsole. Everything on the midsole extends from heel to toe, so there’s a consistent soft feel regardless of how you footstrike. Traditional race shoes are much firmer (even the Streak 6 is one of them) so the Lunaracer’s soft ride is an important differentiator. Especially when you’re running a marathon, and you don’t want your feet beat up like they would in a firmer shoe. 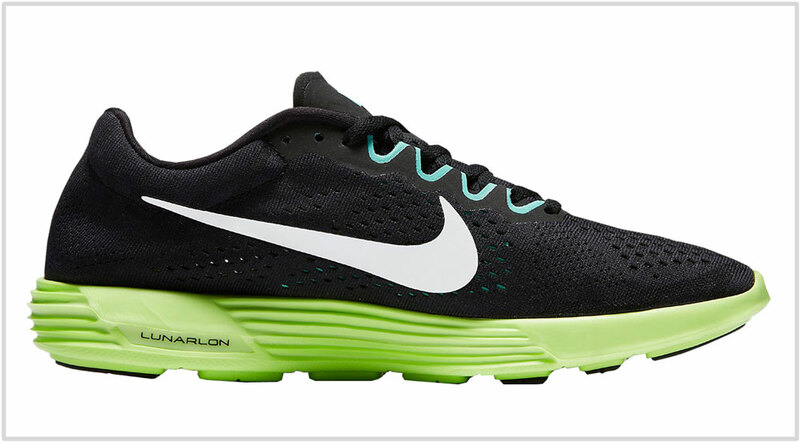 Short runs or long, the Lunaracer 4 provides a relative abundance of non-mushy cushioning. The LR4 is only responsive when new. The collective midsole delivers a responsive ride, but as time passes by, the springy sensation tapers off. The Streak 6 does a better job at retaining long-lasting responsiveness; that isn’t surprising given its Zoom Air bag and Pebax plate construction. Unlike a lot of shoes, the LR4’s midsole has a balanced sidewall design on both sides. There are no ridges or crash pads which turn one side softer than the other. 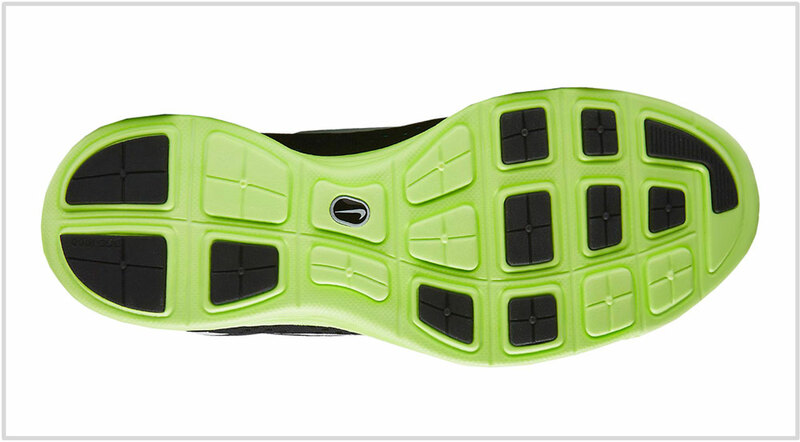 The ride is also centered due to the soft Lunarlon encased within a firmer EVA foam midsole. Another unique aspect about the LR’s midsole is its relatively broad footprint. The forefoot has a wide base, and so does the heel. This gives the Lunaracer 4 a planted ride character. Transitions and roll off’s feel smooth and uniform because of the consistent material make-up along the length of the Lunaracer 4. We’re hard pressed to come up with another shoe (except for the outgoing LT2) which matches the Lunaracer 4’s lightweight, yet generously cushioned ride. The soft ride does not come at the cost of speed or ride efficiency; the Speed Lunaracer 4 lives up to its name in more ways than one. Apart from the slightly smaller sizing, the upper has enough room for your foot to splay. This is particularly useful at the later stage of long races when the foot begins to swell, and the extra room can come in handy. A retail price of $110 is good for money, and besides, you usually get the Lunaracer (even the 4) for less than its original price. Durability is an area where the Lunaracer 4 comes up short. That applies more so to the 4th version, where the upper is made of a thinner mesh. 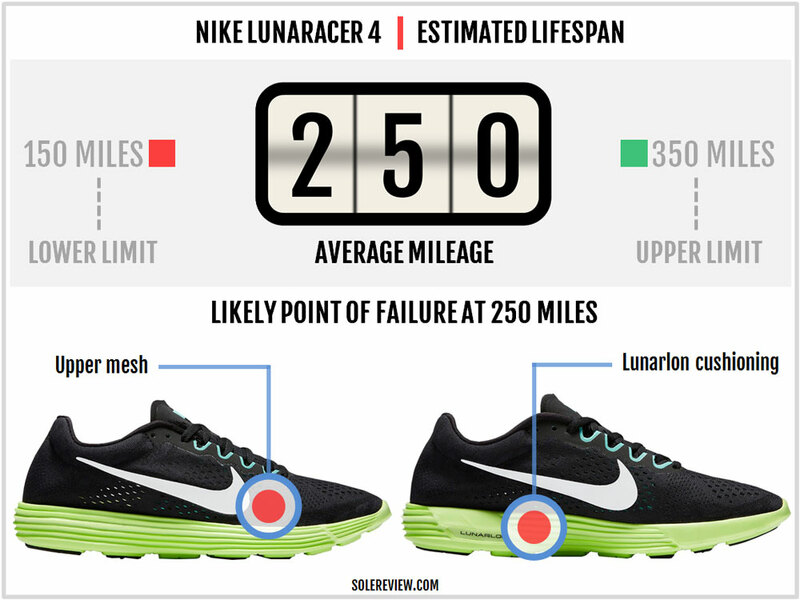 The Lunarlon isn’t very durable either; after a couple of hundred miles, the cushioning is way past its prime. Reflectivity is an unexpected omission on the LR4, considering how much of it the LR4 came boxed with. The updated heel fit is hit-or-miss. In our view, Nike need not have tinkered with the uniformly soft feel of the LR3’s lining. At most, they should have changed the lining mesh and let it be. Adding stitching to the heel is a poor design call on a shoe which is meant for long-distance running. It’s always better to keep things simple, yes? Do not plan on buying the LR4 as your only shoe. At the very least, get a trainer to spread your daily mileage on. The Nike Pegasus 33 is the perfect other-shoe option for logging your daily runs on. It is cushioned, responsive and durable enough to withstand the rigors of heavy mileage. If you feel the need to get a speedier shoe for shorter races like a 5K, the Zoom Streak LT 3 is perfect. It is even lighter than the Lunaracer 4, has a 4 mm heel drop, and comes with a firm yet responsive ride which is ideal for shorter races. Many elite Nike athletes wear the Streak 6 during marathons, but for lesser mortals, the cushioned Lunaracer 4 is a more forgiving option. Our mantra is to stick to the LR4 for the long ones, and the Streak 6 or the LT3 for the shorter races. Your non-Nike rotation alternatives are the Saucony Ride 9 and the adios 3 Boost. The Saucony Ride 9 compares to the Pegasus 33 in terms of performance characteristics. The lighter adidas adios 3 Boost gives you a cushioned and responsive ride quality, except in a slightly different flavor than the Lunaracer 4. Here’s our full review of the adios 3 in case you are interested. The Lunaracer 4 has the same midsole and outsole as the 3, so the ride quality does not change. All the updates happen upstairs, and we’ll quickly give you a tour. Ditching the Flywire cords leads to a snugger midfoot fit, courtesy of the inner straps which come in direct contact with your foot. In other news, the new Lunaracer manages to shed some weight, 0.2 ounces to be exact, and the retail price stays constant. The tweaks made to the heel design ends up making the LR4 a bit shorter in sizing than the LR3. There’s approximately a half-size difference between the two Lunaracer versions, but the best way to find out is to try them on first. To sum up, there aren’t groundbreaking changes on the LR4, but we have a feeling that the updated heel fit will lead to polarizing reactions from Lunaracer loyalists.